A larger-than-life cowboy has appeared on the west side of the Shearman Fine Arts Center on the McNeese State University campus. “We are rebranding McNeese to demonstrate that this is an exceptional university with a proud history and a bright future. This mural is one of the first steps in our MyMcNeese campaign,” said McNeese President Dr. Daryl Burckel. 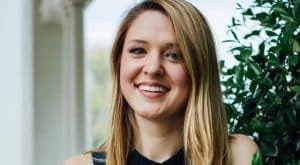 The MyMcNeese campaign was developed with the assistance of the Lamar Advertising Company and it will be featured in marketing efforts across the university. One of the goals of the campaign is to reinforce that McNeese is part of the fabric of Southwest Louisiana and that its graduates are integral to the economic success and quality of life in the region. The mural was funded through the Campus Development Committee, a student self-assessed fee that focuses on campus improvement projects. Lamar Advertising handled the design, production and installation. Visual enhancements on and around the McNeese campus will complement the new $44 million Health and Human Performance Education Complex. This multi-purpose facility will bring thousands of visitors to McNeese each year for volleyball, men’s and women’s basketball, commencement and cultural events. These guests are in addition to the thousands that come to McNeese annually for recruiting events, Rouge et Blanc and Banners performances, professional conferences and seminars, homecoming and alumni events. The new facility will open this fall and it will also house the rapidly growing department of health and human performance. Established in 1939, McNeese State University is nationally ranked as one of the top public universities in the United States, is recognized as one of the finest regional universities in the South and is known as having one of the best returns on investment for tuition and high average starting salaries for its graduates. The University also serves as an economic and workforce development partner for Southwest Louisiana employers who are seeking well-prepared employees. 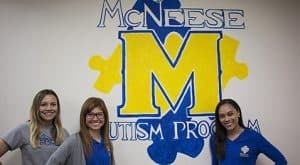 The mission of McNeese is to change lives by providing “Excellence With a Personal Touch!” McNeese is a member of the University of Louisiana System. Visit mcneese.edu or contact publicrelations@mcneese.edu for additional information.